Have you ever wanted to live in a house? Well, do I have the deal of a lifetime! There’s a famously haunted house for sale, right now, and YOU can buy it. 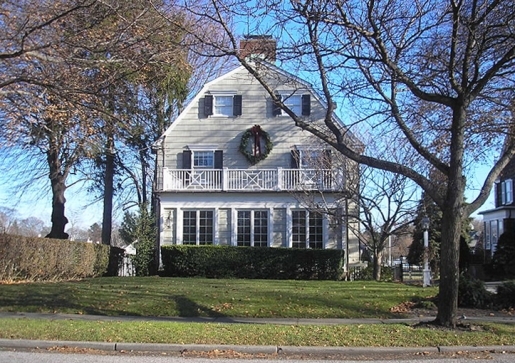 You don’t have to buy your own ghosts online, you can just pony up $1.5 million dollars and buy the world’s most famous haunted house in Amityville, New York. The five-bedroom Dutch Colonial that was the basis for the Jay Anson book (and subsequent movie series) The Amityville Horror has been put on the market. The home is the site of a reported massacre by Ronald DeFeo Jr., who killed six members of his own family while they slept in 1974, having reportedly been driven mad by forces unknown. In December 1975, George and Kathleen Lutz moved into the house, only to discover that the house was haunted. The subsequent furor over the house, thanks to the best-selling novel by Jay Anson that may or may not, but probably isn’t, non-fiction has made the house a favorite with area tourists, especially on Halloween. Now, it can be yours. It’s a gorgeous house, demons or not.